Shown with Bed, Dresser, Mirror & Chest. 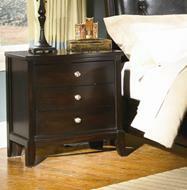 Add the finishing touches to your master bedroom with this 3-drawer night stand. The three spacious drawers are ideal for storing books, magazines, remotes, reading glasses and any bedtime accessories that are available at arm's length. Tapered feet and clean and simple lines give this night stand a contemporary flair. Place beside your bed and decorate with lamp, candles, pictures or any other accent items to enhance the bedroom's decor. The 7185A Bedroom Night Stand by Alex Express Life at Northeast Factory Direct in the Cleveland, Eastlake, Westlake, Mentor, Medina, Macedonia, Ohio area. Product availability may vary. Contact us for the most current availability on this product. Handles & Hardware Brushed nickel hardware knobs. Case Detail Clean and smooth edges. Tapered legs. Create a stylish and comfortable bedroom with the 7185A Collection from Lifestyle. This bedroom collection features an upholstered panel bed that will distinguish a contemporary look in a master bedroom. Each piece is bathed in a dark brown finished that brings a sophisticated look yet warm and inviting feel to your bedroom. Clean and smooth lines, tapered feet and simple hardware knobs adorn each piece. This bedroom collection could work in a stylish loft in the city or a lovely home in the suburbs! The 7185A collection is a great option if you are looking for Contemporary furniture in the Cleveland, Eastlake, Westlake, Mentor, Medina, Macedonia, Ohio area. Tapered Legs Featured on All Pieces. Dark Brown Leather Headboard With Tufted Detailing. 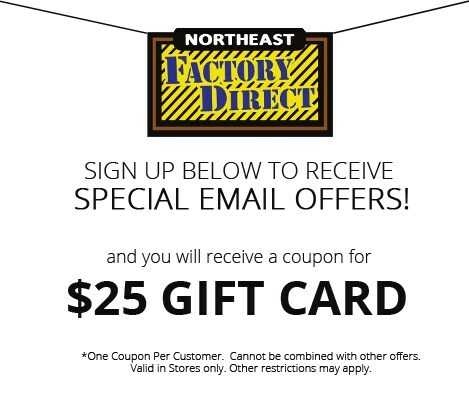 Browse other items in the 7185A collection from Northeast Factory Direct in the Cleveland, Eastlake, Westlake, Mentor, Medina, Macedonia, Ohio area.